In collaboration with Canada's favorite kitchenware, Stokes and their lifestyle blog, Stokes Saturdays, we bring you a crowd pleaser just in time for New Years. If you're planning on hosting an event or strapped with what to bring to a potluck, this simple recipe provides a healthy alternative to the otherwise indulgent holidays. This way nobody will feel too guilty after several glasses of champagne, as we welcome in the new year. Read below or download this print-friendly PDF here for the recipes and Stokes products used. Soak package of frozen spinach in a bowl of warm water to defrost completely. Once it’s defrosted, take out a tea towel and place the spinach in the middle. Ring out all the water several times until the spinach is dry. (Note: If you use a microwave to speed up the process, must make sure the spinach is completely cool before mixing in the mayonnaise and yogurt). 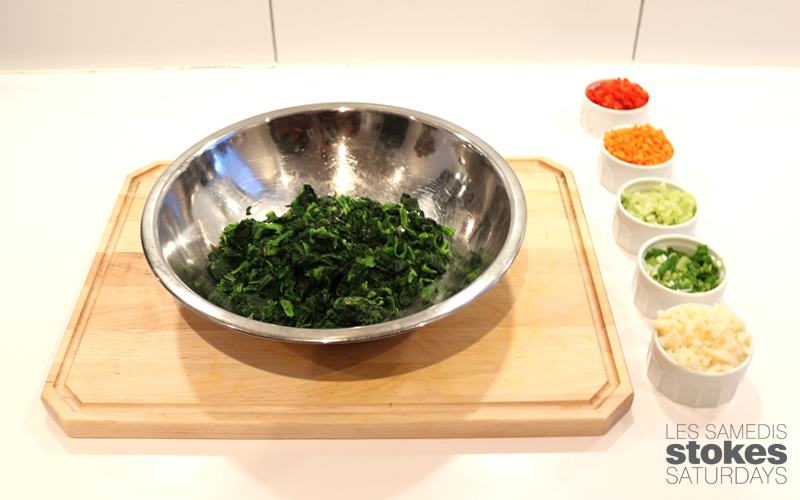 Place the spinach in a large bowl. 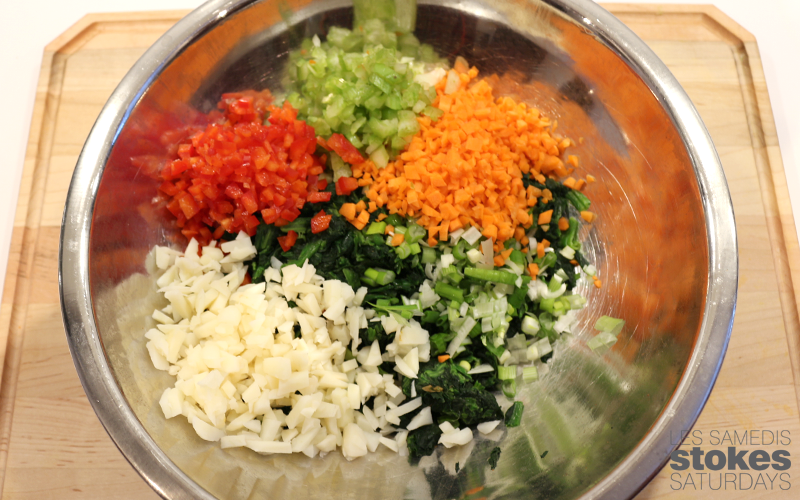 Finely chop the green onion, carrot, celery, red pepper and dice water chestnuts to add to the bowl. 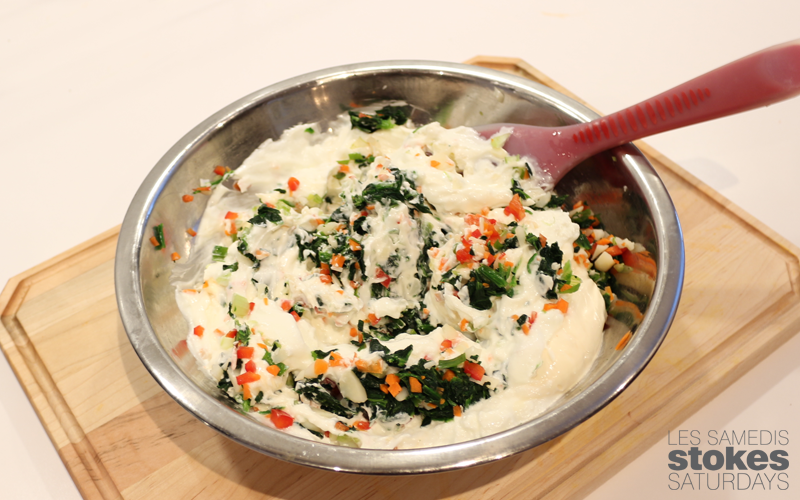 Mix in light mayonnaise, Greek yogurt, spices and soya sauce, cover and refrigerate for at least 2-3 hours. Cut the top off the pumpernickel bread. 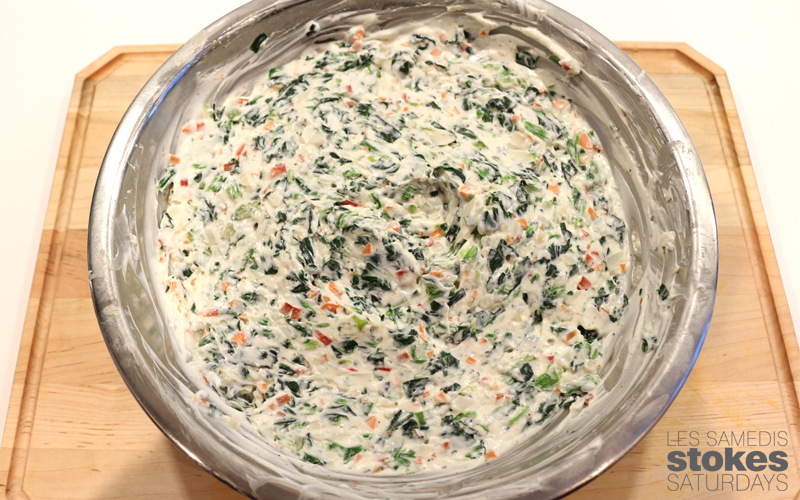 Hollow out the bread, leaving enough space for the portion of spinach dip made. 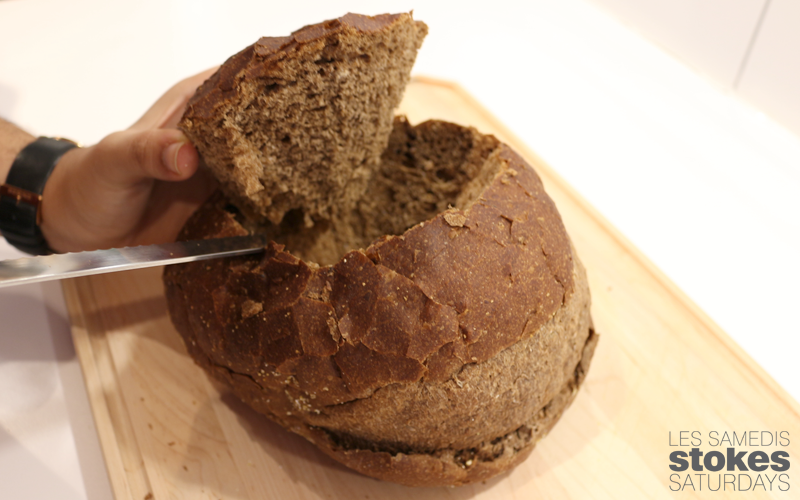 Cut the excess bread into even pieces to use as dippers. 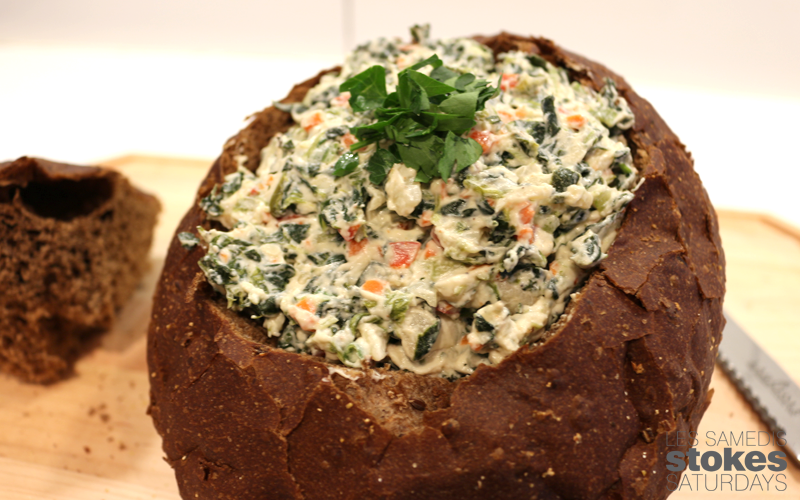 Once the spinach dip is ready, place in the middle of the bread in a bowl or directly. Thank you for all the support on Facebook, Instagram and Pinterest. 2014 has truly been an amazing year for social media and I can't thank you enough for connecting and accompanying me on my healthy lifestyle journey. All the best today, tonight and for what's to come in 2015.